Marco Rubio one of only five US senators given 100% by Koch Bros. Barely a year in office and he already excels at taking orders from his big donors. The astroturf group called Americans for Prosperity, aka the political tool of the right-wing Koch brothers, ranks Marco Rubio with four other US senators at 100 percent and A+ for voting as commanded all the time. This link will take you to the Think Progress report on the AFP congressional scorecard. Curious how Rubio stands out from his three Miami-Dade fellow Republicans in Florida’s US House delegation. The ethically challenged David Rivera (FL-25) gets along with a B grade from the Kochs, and the middling C is given to Ileana Ros-Lehtinen (FL-18) and Mario Diaz-Balart (FL-21). The entire scorecard is available here. Former Miami-Dade Democratic Party Chairman Joe Garcia talks some Cuba in this two-part video interview done by Tracey Eaton, a journalist and blogger with experience in Cuba. If you are a Facebook friend of Joe Garcia you saw these segments in his feed during the last few days. Your blogger here recommends a look if you haven’t already. Garcia is one of the most knowledgeable policy people on Cuba, having a wealth of family background, experience running the Cuban American National Foundation, consulting with the Obama Administration on relations with that large island to the south of Florida that has been run by the Castro brothers for half a century. But, as he says, he’s never been to Cuba. That may change – if the communist authorities say yes to his recent application to travel when Pope Benedict XVI will be there in late March. Ah, springtime in Havana, when many Miamians with links to Cuba may be there to celebrate the pope’s pre-Easter trip. Everybody should go to Cuba – 400,000 went from the US last year under relaxed US rules. It can’t be ignored that things are changing in Cuba, but not the regime’s intent to remain in power. Obama is restructuring US government programs aimed at fostering civil society in Cuba. No more Miami-centric US spending to please right-wing Cuban-Americans. The US embargo is a failure but it’s like a religion, and Garcia was a bishop of that church in the past. The emotional impact of the Cuban revolution is still powerful to many in Miami; revenge, however, has no future. For a summary of changes in Cuba, check out this article in Progreso Weekly. 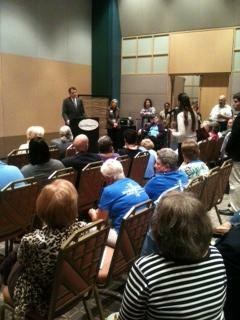 Overflow crowd for Alan Grayson speaking to Progressive Caucus at its first event at a convention. 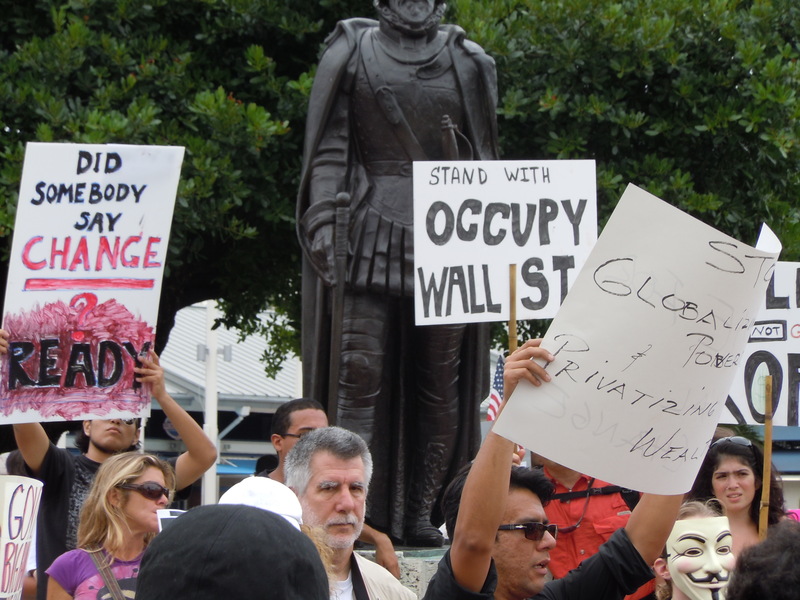 Your blogger labored away with his little Camileo camcorder for this report on the Monday morning event where community groups pledged support for the Occupy Miami crowd. 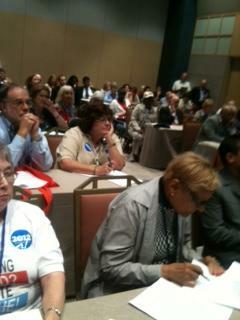 Note that Santiago Leon, our Issues Committee chair and a DEC member, invited the whole crowd to come to the Democratic Party. Let’s hope for a landslide of new activists. We also will see in this video Marleine Bastien, who ran for Congressional District 17 in the Democratic primary of 2010, pledging her support for the Occupy Miami movement. The kickoff rally on Sunday at the Torch of Friendship in Bayfront Park drew possibly a thousand people including many DEC members, including former chair Bret Berlin, currently state committeeman of the Florida Democratic Party, with his children. Your blogger likes this. Ball of fire — that’s the proper reaction to news that Cedric McMinn is executive director for the Miami-Dade Democrats. It’s the right thing to do going into an election year that we all know is the key to the future of the United States. And all eyes will be on Florida. Thanks to Richard Lydecker, our chairman, for talking Cedric McMinn into this. “Cedric is a rising star in South Florida and a strong grassroots advocate for Democrats up and down the ballot. I congratulate him on his new role with the Miami-Dade Democratic Party, and look forward to the Party reaching newer and greater heights,” said Congresswoman Frederica Wilson. “I am both honored and excited to serve the Democrats of the largest county in the great state of Florida. Communication, organization and mobilization will be my top priority in order for the party to move forward and succeed,” said Cedric McMinn. McMinn has worked as a Government Relations Specialist with the law firm Becker & Poliakoff, P.A. He brings to the Miami-Dade Democratic Party a wealth of knowledge with more than 8 years of experience in political and government engagement. He previously served as President of Miami-Dade Young Democrats and recently was honored as the 2011 Young Democrat of the Year. McMinn has worked as the Legislative Aide to former State Representative Dorothy Bendross-Mindingall and served as the Deputy Political Director for the 2008 Obama/Biden Presidential Campaign in Tampa, FL. 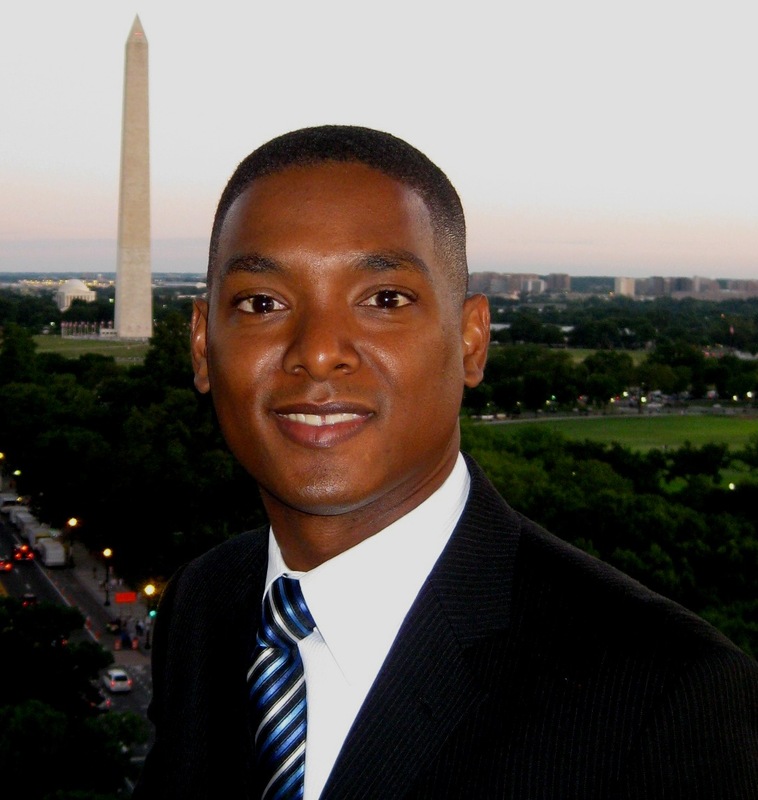 Mr. McMinn currently serves on the Board of Directors of the Miami Children’s Initiative and on the 2010-12 Florida Democratic Party Executive Committee appointed by Congresswoman Frederica Wilson (D-17). McMinn holds a Bachelor of Arts degree from Florida International University. Those of us here tonight cannot solve all of our nation’s woes. Ultimately, our recovery will be driven not by Washington, but by our businesses and our workers. But we can help. We can make a difference. There are steps we can take right now to improve people’s lives. Political advertisement paid for and approved by the Miami-Dade Democratic Party, Richard Lydecker, Chair. 801 Arthur Godfrey Road, Suite 402a, Miami Beach FL 33140. This communication is not authorized by any candidate or candidate's committee.